When you play hockey at 14,307 feet, it takes more than sticks and pucks to get through a shift on the ice; oxygen on the bench is a must, too. 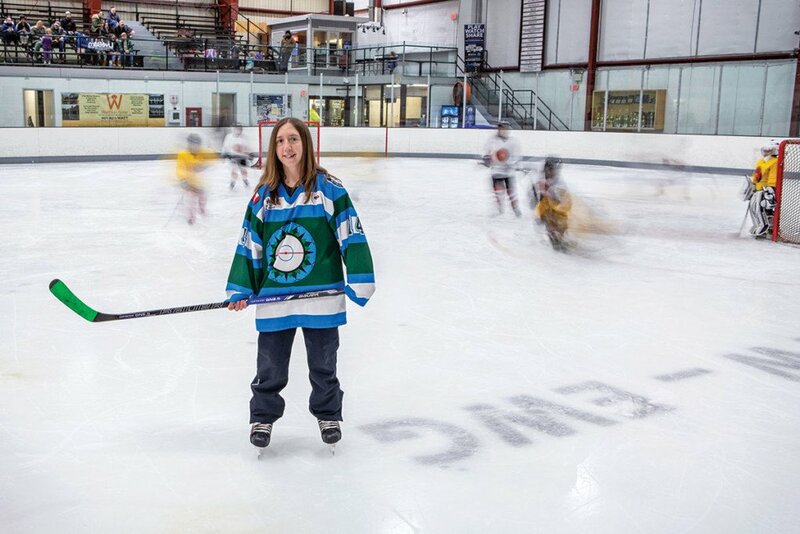 For Rhode Islander Christina Markrush, the exertion was just part of a successful campaign to stage the world’s highest-elevation hockey game in India’s breathtaking Himalayas and to feed the love of the game for the unexpectedly hockey-crazy residents of the Ladakh region. The game, played in February 2018 on a remote mountain lake, was a monumental effort sponsored by the Hockey Foundation, whose mission is to build character, improve quality of life and empower children in less fortunate regions around the world. Markrush not only collected hockey gear to donate to Ladakhi children, but also served as a youth coach on the India trip and was one of the privileged few to line up on the ice and play the game, which was just certified by the Guinness Book of World Records in December. The idea for staging a high-altitude hockey game grew out of a friendly annual competition between local Ladakhis and visiting Canadian hockey players. Game day was marked by bitter cold and high winds, yet a big crowd turned out as the Hockey Foundation squad gamely squared off against the more acclimatized locals.